Next up is a whisky that is truly near and dear to my heart. The Balvenie Single Barrel 15 Year was the first single cask release to be part of a distillery’s standard range. The single refill bourbon release was a long-time staple of The Balvenie before being discontinued in favor of the 15 Year Single Sherry cask. My favorite part of this release was that it was bottled at 47.8% ABV and non-chill filtered. Awww yeah! Nose A very well-rounded nose. Intense honeyed sweetness, vanilla, sweet oak, shortbread, banana, toasted almond. With water, more floral, overripe fruits and slightly minty. Taste A gradual arrival. Thick and oily mouthfeel. More of that delicious Balvenie honey, spice, tropical fruits, big vanilla, dried berries. Much softer with water but the same intense sweetness with less fruit and more spice and a tiny whisper of earthiness. Finish Long, lingering, and drying. Vanilla, maple syrup, pencil shavings, cinnamon and other spices after a bit. More oak and spice with water. A truly quality finish. Overall Thoughts No doubt about it. I very much love this expression. 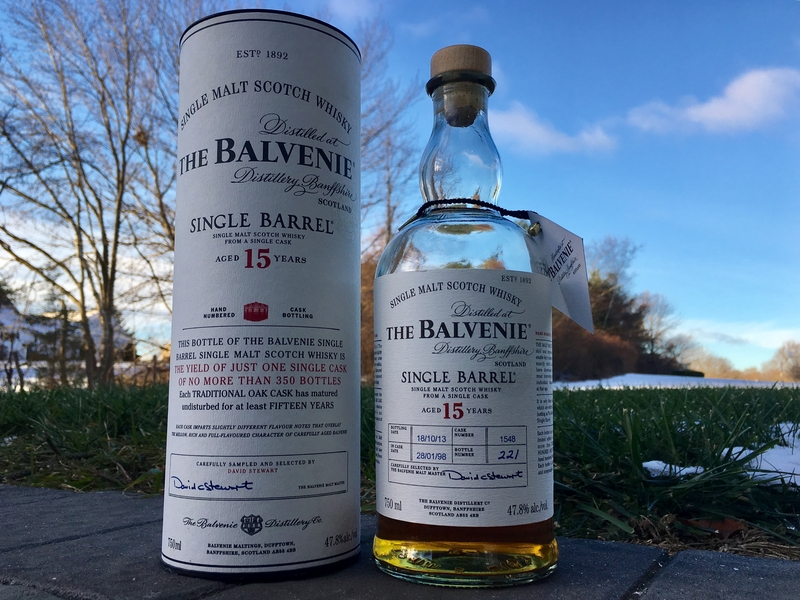 The Balvenie SB 15 is pretty unique in that it's a single barrel offering in a standard range. Pretty cool that this expression's oily NCF deliciousness is all delivered without the use of sherry cask influence. I cherish every bottle of this that remains in my home bunker.